Here is an interesting one. 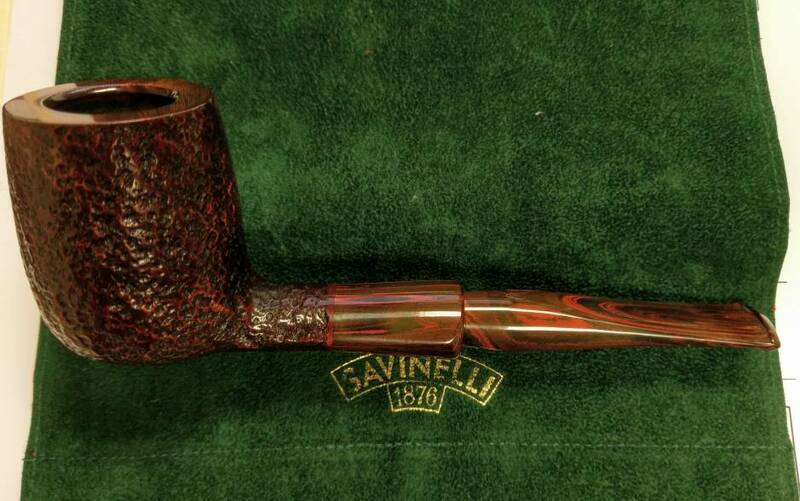 The bowl was pretty caked and the top didn't look good at all, but I've never run across a Savinelli with a Cumberland stem, so I took a chance. It's a Goliath 803EX and I'm assuming it's from the 80s or 90s since Goliath is a discontinued line (replaced by the Hercules line). Anyway, just got it back from refurb today.